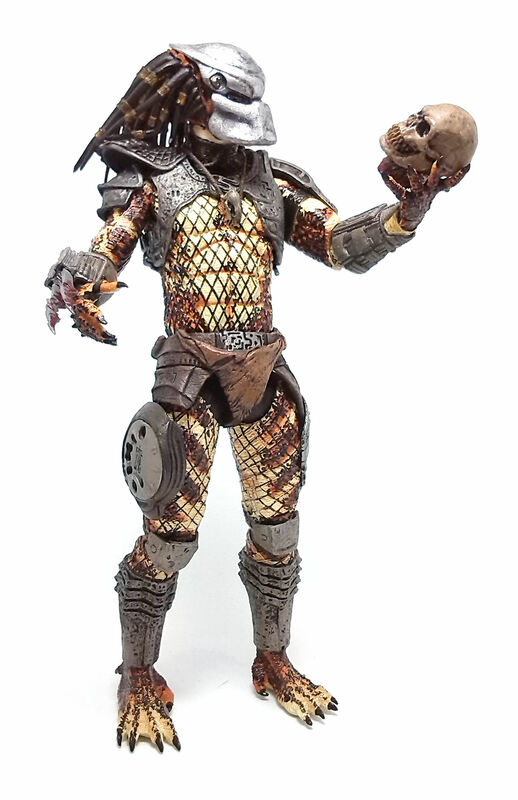 Scout Predator uses the same basic body molds as the original Predator figure up to the helmeted head, but the rest of the armor is actually that of the City Hunter Predator from Predator 2. 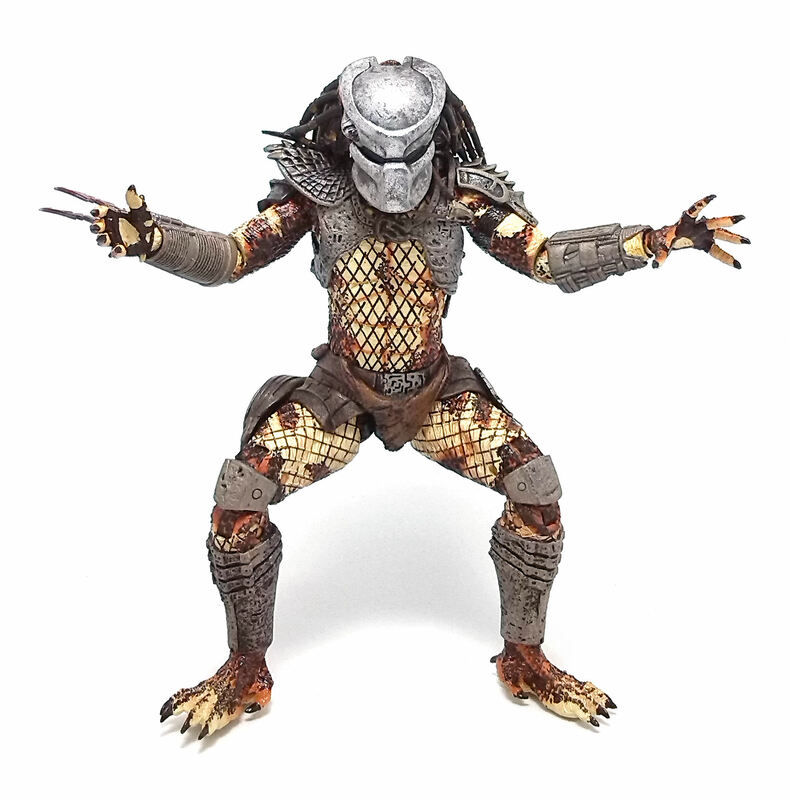 Articulation works quite well and allows the Scout Predator to adopt a good number of dynamic poses thanks to the pliable material used on the armor and head tendrils. 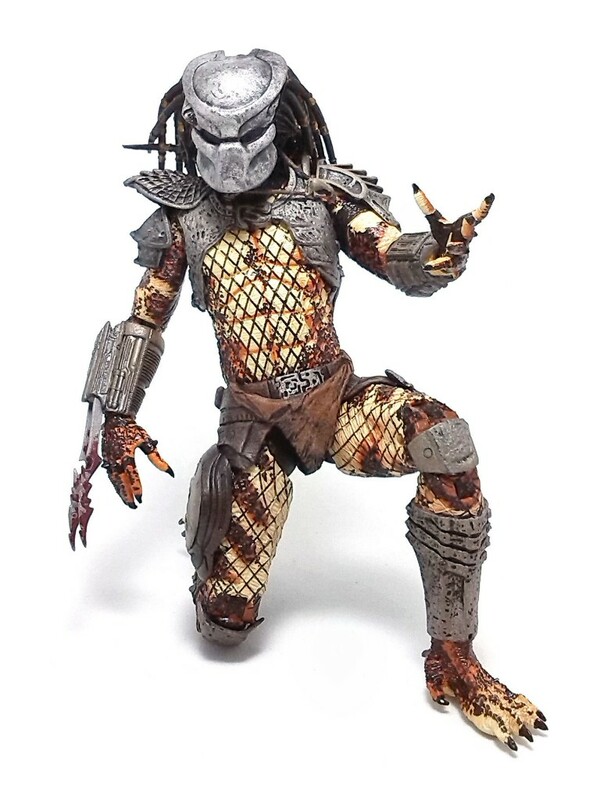 The paintjob on the scout Predator is excellent, from the mottled skin to the dull, worn look of the armored plates. A lot of the shading was applied in the form of a paint wash, thus adding some element of randomness to the deco, but the overall look is quite nice. 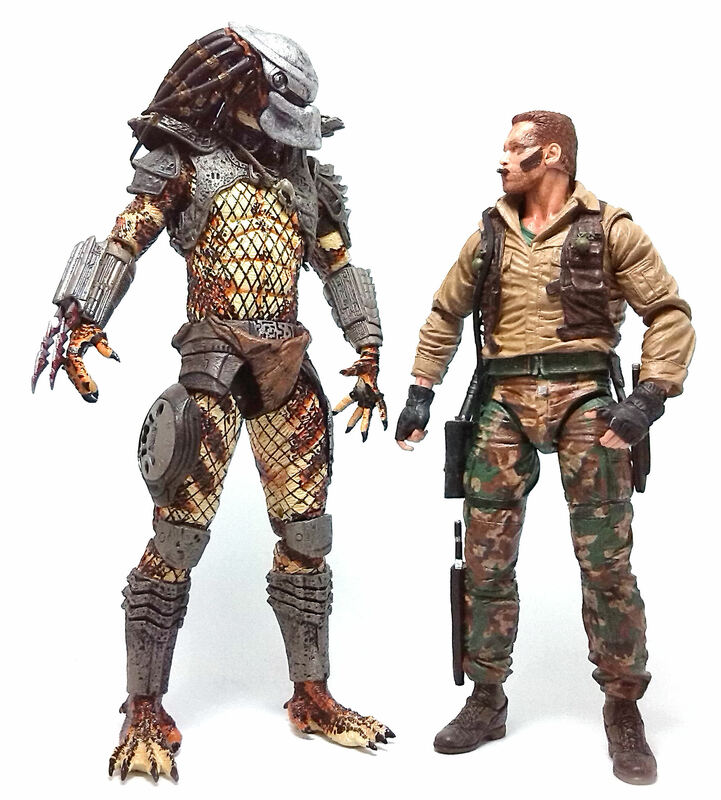 The Scout Predator comes with a fairly limited, but representative selection of Predator weaponry. 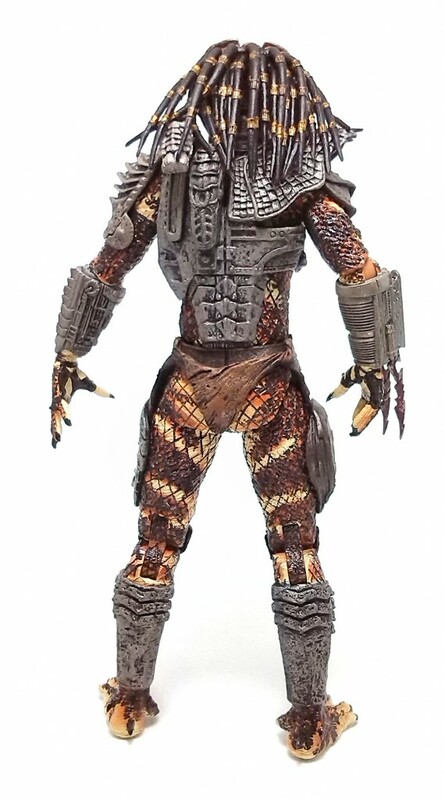 He has a plasma cannon mounted over his left shoulder, a smart disk weapon and a set of extendable blades in his right bracer. 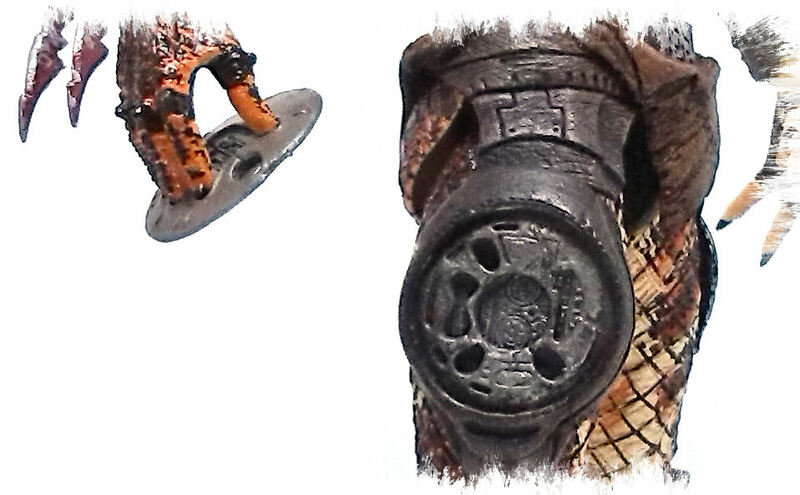 The smart disk has holes on it keyed to fit the fingertips of the Predator’s right hand, but the weapon can also be carried in a holster-like attachment on his right thigh, although it is a fairly loose fit. 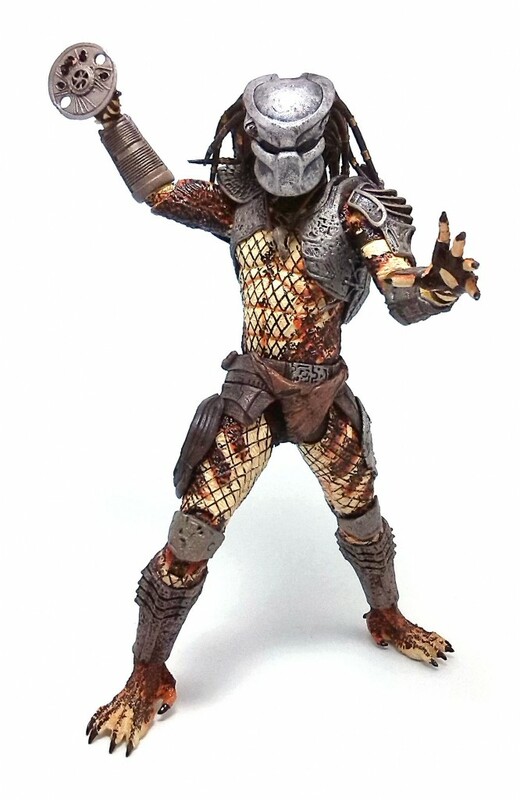 Bottom line, Scout Predator turned out to be a really nice, generic representation of this type of figure, even though it is certainly light on the accessories.